My boyfriend and I spent about a month traveling in Hawaii in August 2015. 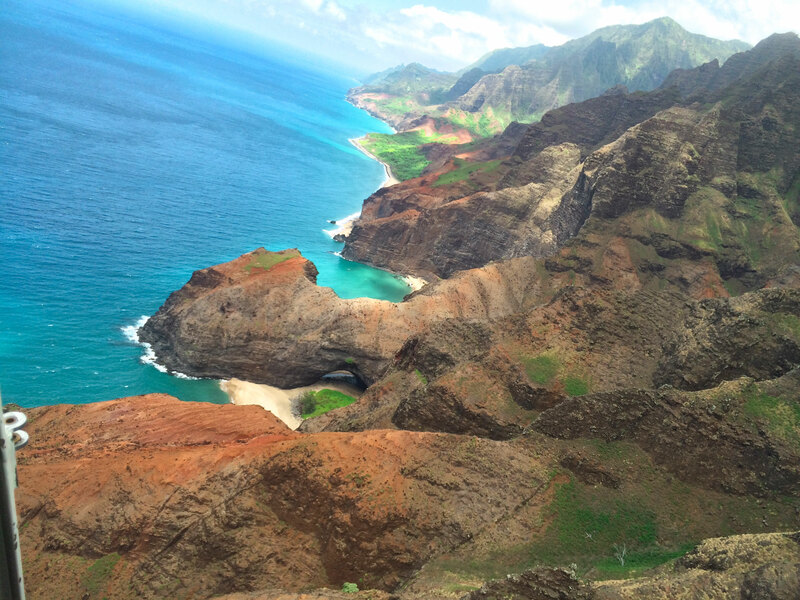 We visited the 4 main islands: Oahu, Maui, Big Island, and Kauai. 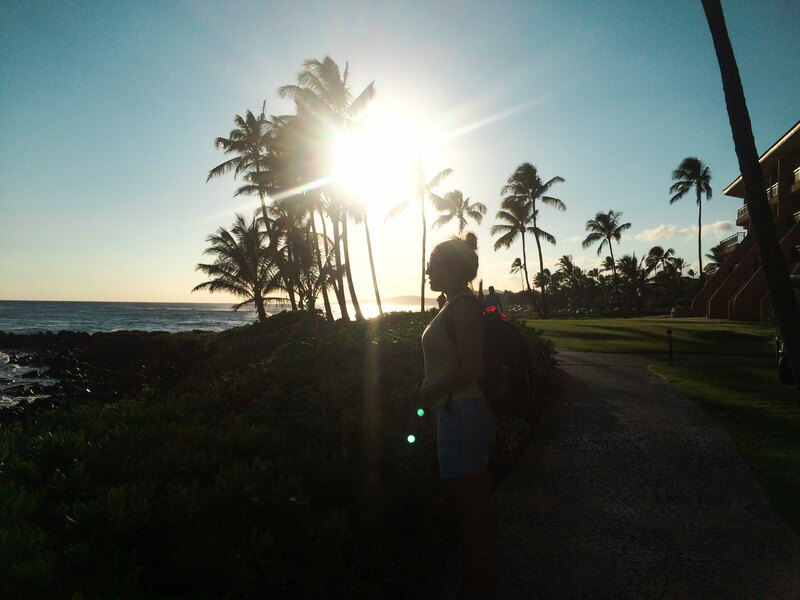 You can read about my adventures in Oahu over here. To come back to Kauai, we spent 5 days on the island. Kauai is, from my point of view, one of the best (and the most beautiful) islands to visit when you’re on a Hawaiian vacation. Why? Because you can do a wide variety of things, all while being on a slightly less touristy island (compared to Oahu, for example). Of course, you’ll be able to soak up the sun on the beach, but you can also go hiking and discover breathtaking scenery, go kayaking, admire a massive canyon, climb to the top of a mountain more than 5 000 feet above sea level, and so on. 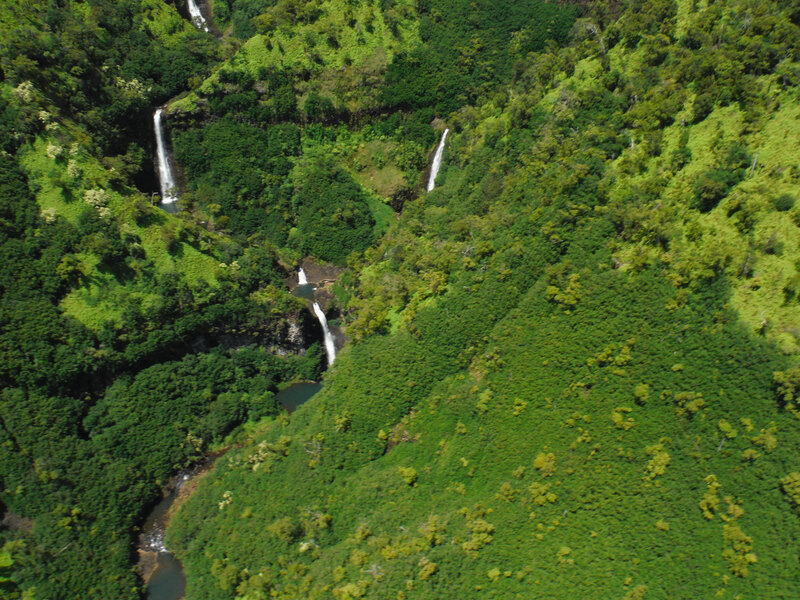 You can also go on a helicopter ride to get a look at this magnificent island from way up high. 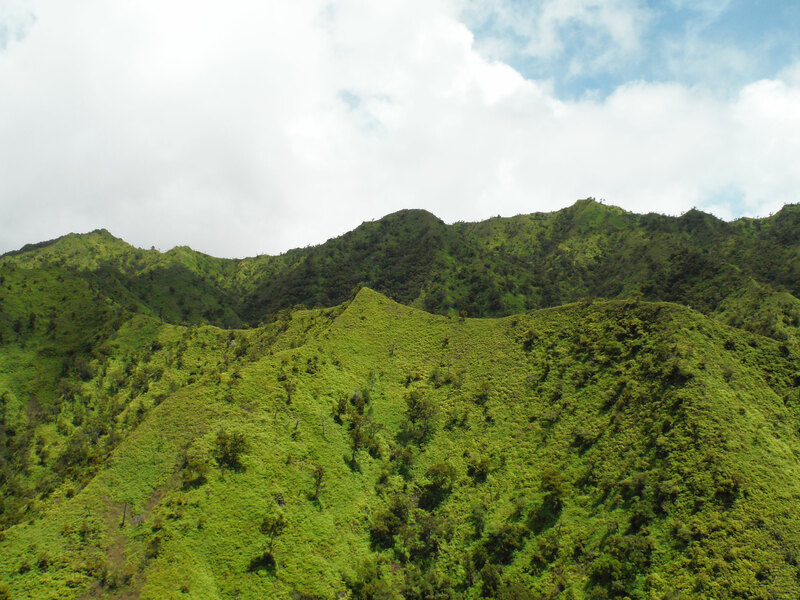 There’s also the Nā Pali Coast Park that is a spectacular sight from the sea, from the air, and from land when you hike to the top to admire the view. There are many beautiful waterfalls to go see as well. Kauai is also the land of a thousand hens (I’ll talk about it more in detail later)! 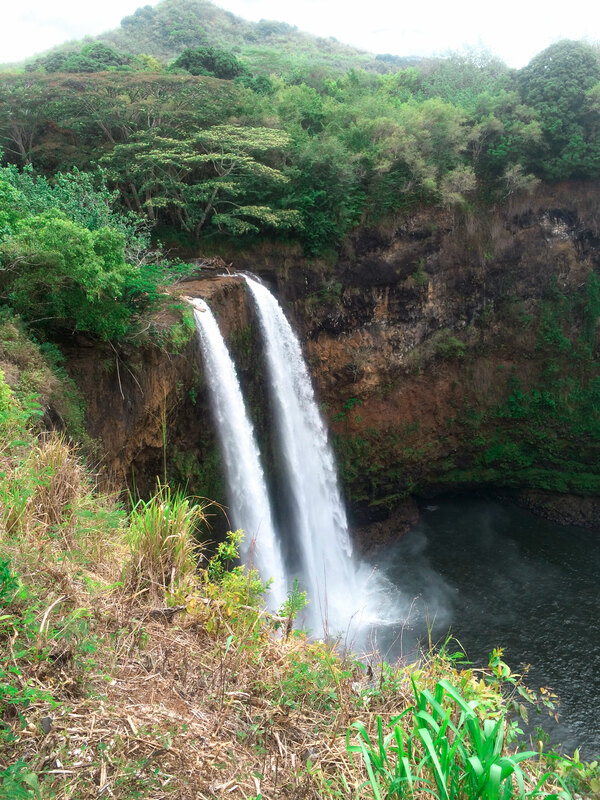 On top of being the oldest inhabited island of Hawaii, Kauai is also where many popular movies were filmed, like Jurassic Park and some scenes from the TV show Lost. The natural environment of the island is stunning and there’s a reason it is called “Garden Isle”, because of its dense and lively tropical forest. Why is Kauai covered in hens? In the early 1990s, there was a hurricane on the island that destroyed many things, including chicken coops. The hens ended up loose and were never caught. 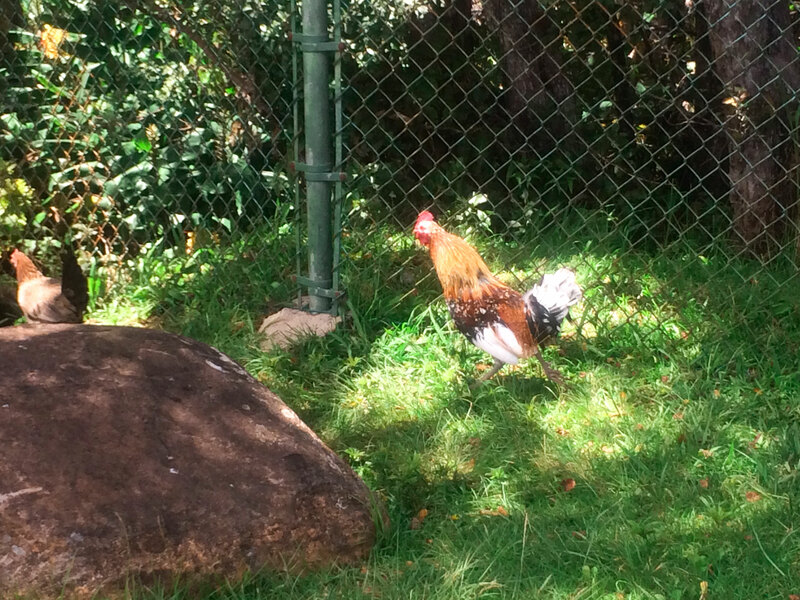 As hens have no natural predator in Kauai, they stay at the top of the food chain. You know how lions are the kings of the jungle, well, hens are the queens of Kauai. Haha ! Fun fact, heh! For this trip, we rented a car in Kauai (actually we did the same for every island we visited in Hawaii). It cost us $35/day, with Hertz. The island is easy to drive on, even if some roads are narrower than others. I found that renting a car in Kauai really took the experience to another level. It’s definitely worth it, so don’t be afraid to give a try. There are lots of Asian restaurants in Kauai—like on pretty much all the Hawaiian Islands—given how “close” they are to Japan and to Asia in general. We ate a lot of “noodle soup” (it was one of the “cheapest” meals we could find in Hawaii—it is a very expensive destination). One of the places we went to a few times was the Hamura Saimin Stand. It’s a little restaurant that serves noodle soup and other Asian dishes, that is quite popular with locals and tourists alike. We also treated ourselves with sushi and sashimi at a few spots on the island. Since Hawaii is a relatively expensive destination, we often made ourselves sandwiches for lunch and we had dinner in our room whenever possible. We rented many Airbnbs during our stay and most of them had kitchenettes. If you, too, want to take advantage of Airbnb for your vacation rentals, you can sign up here. Airbnb rentals are often cheaper than hotels, B&Bs, and hostels. The service is really worth considering when planning a trip. Click here for an awesome discount on your first booking with Airbnb! 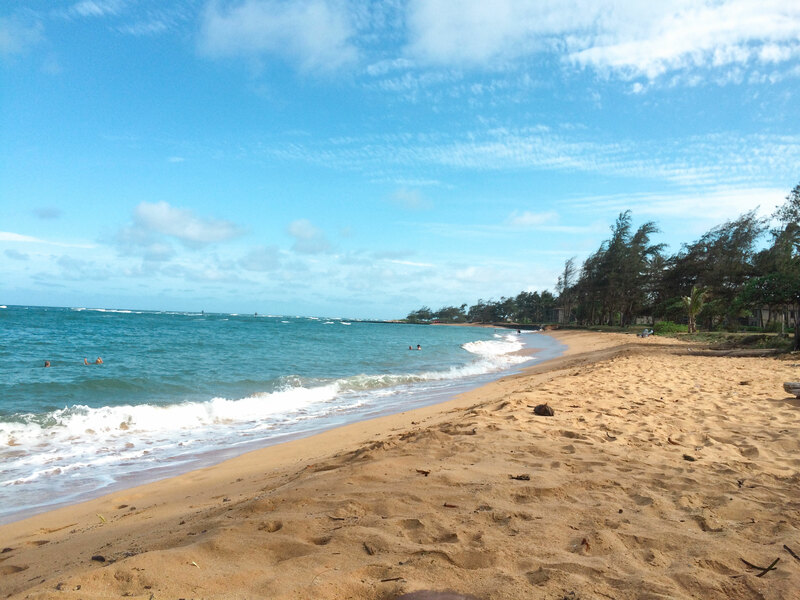 Poipu Beach is one of those you pick time after time when making a top 5 of the best beaches of Kauai. So then, what are you waiting for?